Please download and complete the Onsite Registration Form below to bring with you to the 2019 Wide World of Sales. If this is your first time attending the Wide World of Sales, this session is for you! It just wouldn’t be a Wide World of Sales Conference without our kick-off event — the ever-popular Fireside Chat with Gary O’Sullivan. With his mix of humor, personal experience and straight talk, Gary O’Sullivan mentors, encourages and motivates his audiences to be the best in the profession. He will share his vast experience from his sales and sales consultancy career and will discuss a wide range of topics including integrity, leadership, sales concepts and professionalism. The Fireside Chat never disappoints, just ask anyone who has had the privilege to attend one of these standing-room only events! You probably have a number of questions that you like to ask during a sales call. While these questions may seem interesting to you, your client probably finds them to be mind-numbing. They don’t stimulate new thinking and ultimately you sound like every other rep that has walked through the door. Sales training expert Tim Wackel will show how to craft questions that ignite emotions, discover motivations and get families to act. Tim will help you recognize and control the urge to pitch prematurely, share how to ask the “hard” questions in an “easy” way, and help you kick your “hopeium” habit and make it easier for prospects to tell you the truth. TEDx and ELI Talks speaker, Jamie Sarche, loves helping people to feel more comfortable with the idea of mortality and to help treat death as just a part of life. She’s working hard to convert our death-averse society into one that treats death like any other lifecycle event, albeit an often painful one. In her DEAD Talk she will talk about finding your niche, overcoming your personal head trash so you can become more confident and comfortable prospecting. Are you looking for ways to generate more leads? Learn the how-to’s of group presentations that are easily ranked as one of the top three lead sources. This style of presentation allows you to build a positive firm image, see more people in a non-threatening environment and ultimately increase sales. Tacye Vogel will share her simple 5-step process to effectively convert an at-need family into a pre-need family. When combined with an aftercare program, this process will help you gain the trust and respect of your funeral directors and families, create a smooth transition from at-need to pre-need staff and provide a strong sales funnel and prepare your families for future contact from your sales team. Building a Successful Sales Culture: Are You Feeding Eagles or Herding Cats? Salespeople! They can drive managers and each other to the brink of madness. How can anyone get all those strong personalities working together? During this Dead Talk you will learn some simple and inexpensive tricks to build teamwork, raise morale and keep the whining to a minimum. Keep your team driving sales instead of driving you nuts! “We just need to find the right person.” Harold Giddens will share the characteristics of the ideal candidate, outline the onboarding and training process, and how best to set up your new hire for success. He will share how an effective hiring and training program will motivate your existing counselors, lead to reduced turnover, increased revenue and program success. Feel like you could benefit from a renewed outlook on your daily work schedule? Instead of getting stuck in the rut of calls and walk-ins, learn how to maximize your time by seeing the people and telling the story. Leave what you know at the door and be prepared to learn time management skills that will increase the productivity of your daily workflow. Whether you are speaking to an audience of one or one thousand, it’s crucial that you engage your listeners. During this lunchtime session for suppliers, Tim will take a fun look at the six worst (and most common) presentation habits and gives specific ideas on how to conquer them. He will help you grab your listener’s attention in the first two minutes, share how to organize your ideas in a clear, concise and compelling approach, give tips on how to avoid the fatal trap most presenters fall into on “the big day” and leverage the two most important (and overlooked) elements of successful presentations. What’s a Party Have to Do with Me? How many times have we heard, “we just don’t need ‘that’” when working with a cremation family? Whether it be our assistance with a service, an urn or even permanent placement, too often cremation families fail to see value in the products and services we offer. Staying relevant with our ever-changing client family is of upmost importance to all of us. Helping our teams translate what the cremation family is saying to what we can and do provide is critical. What’s a party have to do with us? Everything. In this session, Stacie will provide easy to implement techniques and tools that will strengthen the presentation skill set of our counselors and directors. With compassion and expertise, are you capturing calls from families seeking cremation? In the first 30-seconds, is your staff able to anchor the caller to listen to more? What are they saying to inspire callers to call no further? Melanie Loyd has made hundreds of research calls to funeral homes and cemeteries. Having heard it all, she will equip you with ways to establish relationship, develop trust and nurture the seeds of information, making it difficult for callers to make another call. We have one opportunity and one goal, for their last call to become your first call. Mike will share proven cremation option presenting practices that lead families to an understanding of the value of service and meaningful merchandise selections. He will profile the successful arranger/counselor – their personality, communication skills, beliefs, and motivation. We live in a connected world. People have connections to family, to their job, their town, their friends, to companies, even to products. And whether via social media or directly, those connections are ever changing and becoming more transient, short-term, and largely emotion-based. On the flip-side, there is lack of connection to religion, tradition, ceremony, and permanence. What effect are these changing connections having in our profession, and are we doing anything to address them? Chris Keller will cover some positive strategies that we can take to address these cultural changes and find new ways to re-establish connections and relevance in an ever-changing world and consumer base. Cremation Selling Strategies: Bottom Up and Top Down! Cremation consumers have been besieged by pop culture and market advertising to be price sensitive, therefore some are ripe for a bottom up, and not the more traditional top down, sales strategy. The cremation-oriented consumer is frugal, not cheap. They know what they don’t want (caskets, conventional funeral home setting, etc. ), so industry professionals need to show the value starting from the simplest options (ID view, scatter tubes, etc.) in order to start moving up towards choices that have improved features and offer more value to the buyer. All too often we let families take cremated remains home without helping them understand the difference between temporary and ultimate placement. In this talk we’ll explore the importance of choosing an actual final resting place and how to help families honor their loved ones and avoid the many unintended outcomes that result from not having a plan. There are a few simple steps that can be taken to change the direct cremation customers into cremation “with something” customers, both at-need and pre-need. Lee will share three proven steps that will help you address the full cremation story with your customers that will grow your revenues and re-establish your relevance in the communities where you serve. The demand for broader choice and a more individualized remembrance for cremation families forces us to rethink old methods of our product and service offer. Hear from one of the funeral industry’s leading evangelists about how new, innovative merchandising and marketing approaches allow us to stay on pace with the cremation consumer and their desires. Gober will share research on what today’s cremation consumers are looking for and what you can do to meet and exceed their expectations. He will also look at the effect of these new techniques on making funeral arrangements and compare it to consumers’ expectations of this process. By developing a company culture and committing to it, you can make a positive change within your organization. Zappos.com has grown their business because of their unique culture and the service they provide to their customers. 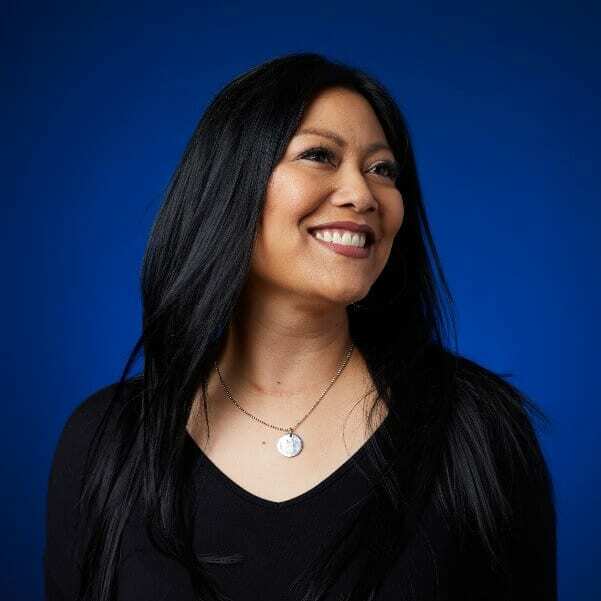 Zappos Insights’ Speaker of The House, Erica Javellana, will share the Zappos core values system, their approach to customer service and employee engagement, and how this Culture of Service can be incorporated into your daily operations to help you build stronger connections with your clients. Over the past decade, death discussion movements have sprung up worldwide, with tens of thousands of participants flocking to these events. They include Dying Matters Week; Death Cafés; Before I Die Festivals; Death Over Dinner; Death Salons and Reimagine End of Life Festivals. Is your funeral home or cemetery aware of these opportunities to engage with customers? Learn three tips to plan events at your facilities that will help get end-of-life planning conversations started. Why your online leads won’t close – Have you been getting leads online and wondering why they aren’t turning into business? Few companies in the death care industry know how to handle online leads in the correct way. 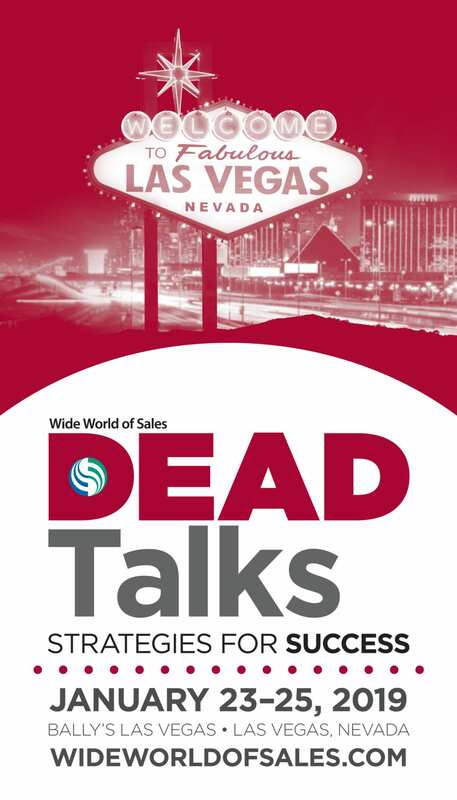 In this DEAD talk, you will learn more about the online sales process, how to identify what type of lead you have, and how and when to approach the lead to end in a close. Eight out of ten consumers now shop online. With a stat like that cremation online sales are a no-brainer. Right? As only a lawyer (and possibly a meteorologist could answer) it’s a 50:50 chance of a bad day. So, what are the pros and cons of deathcare sales online? Is it really as simple as just click here? Is this the future of deathcare or is it the end of our profession? Sit back and learn some tips that may change your internet shopping experience! Patrick Downey, CCE, Arbor Memorial Inc.
Who do you need to be as a deathcare professional to remain relevant to the families you serve? When we view ourselves and our businesses through the lenses of our distinctly different clientele groups, our coworkers, our community and social media, what do we see? 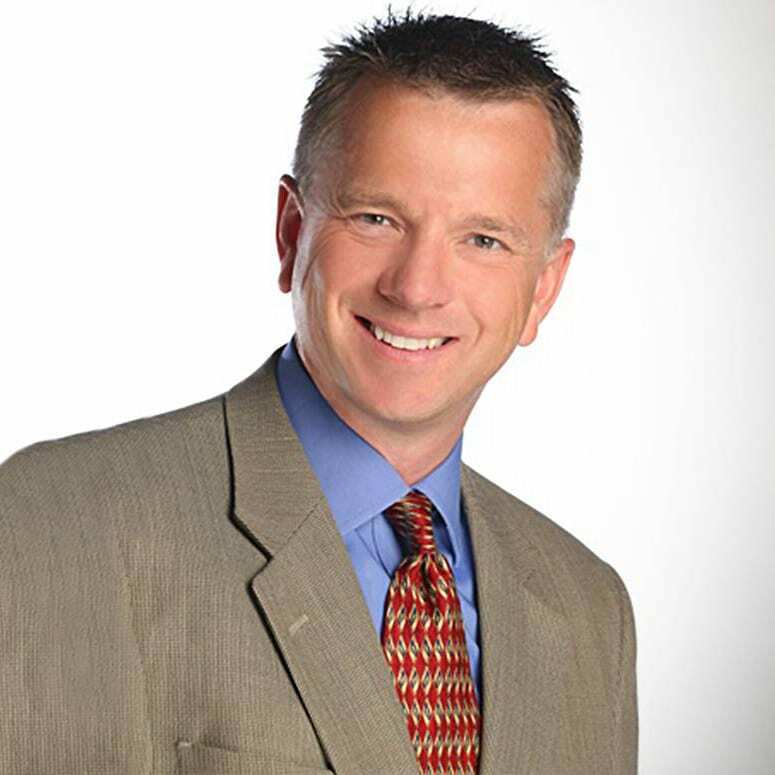 Using the tools learned from this conference, Patrick Downey will talk about positioning yourself for the shift forward to shape a winning business culture that will motivate you to be who your customers need you to be. We have a variety of ways that you can support the Wide World of Sales and promote your company’s name, branding, booth number at the same time. Name, City, State: Made possible by ? ?